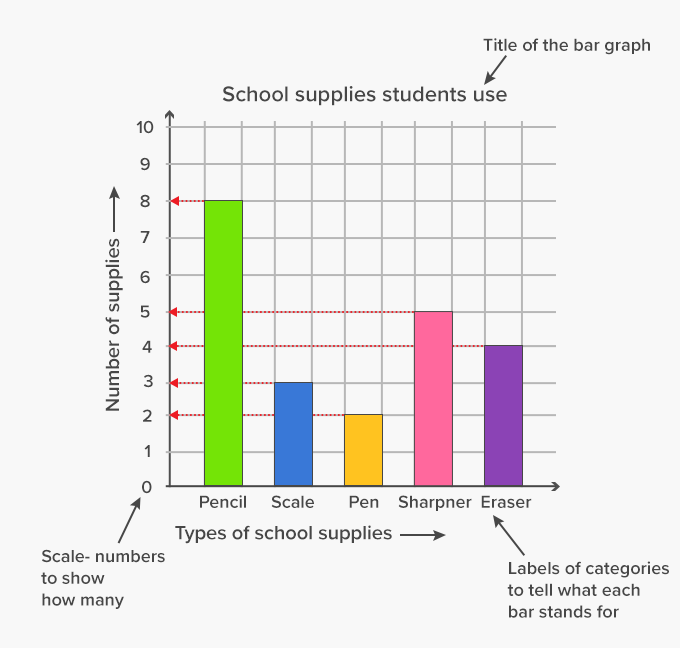 A bar graph can be defined as a chart or a graphical representation of data, quantities or numbers using bars or strips. Bar graphs are used to compare and contrast numbers, frequencies or other measures of distinct categories of data. Let’s represent the data given below using a bar graph. We can begin by counting each of the supplies and putting the data in a table. 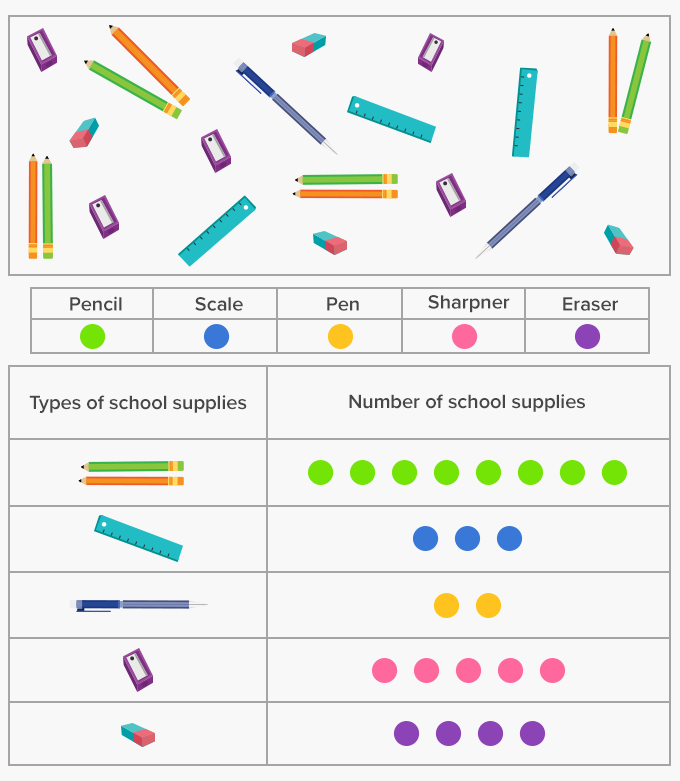 Now, this bar graph below shows the different types and number of school supplies used by students. The more the height of the bar, the more is the number of the supply or item used. 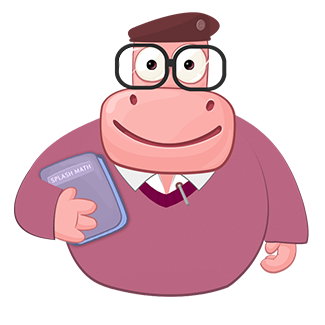 The bars of a bar graph can be represented both vertically and horizontally. The number of lions the number of its giraffes. All this data can be represented in a bar graph. Instead of handing out worksheets or playing games around colouring bar graphs, give your child a chart paper and supplies such as a ruler, pencil and crayons. 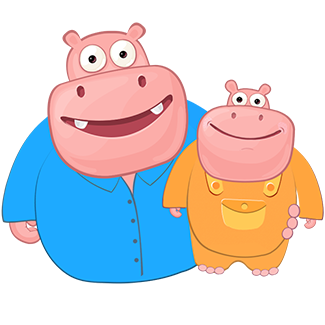 Ask them to represent the average population of 7 countries or the average number of 6-7 of their favourite animals in the world. Help them in sourcing the statistics. 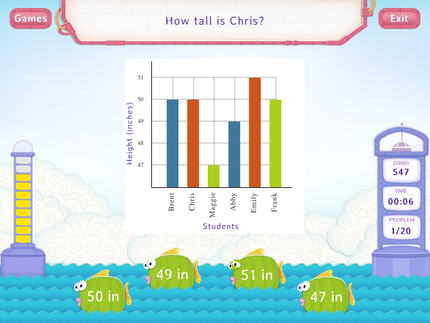 Ask them to mark the title, axis, scale and label the graph well. Also, help them in deciding the scale of the graph.